So let’s begin with the fact that this story is not just about one couple! Of no!!! There are 2 wonderful couples that you fall in love with. And while with other books that would become confusing and annoying, this author has intertwined these characters, so there lives flow seamlessly together. Millie and Will’s reunion got off to a bumpy start; after thinking she was gay, he encourages her to try asking the new deputy sheriff Tara, out on a date. This would have been great; if Millie was gay…but she wasn’t. Millie was in love with Will, but after an embarrassing brush off by Will last time they met, Millie was hesitant to be around him. Where it comes to our other couple Ethan and Tara, they meet in a completely different way…when Tara arrested him for breaking into his OWN house! After that mix up, Tara found it hard to relate to Ethan, even though she was wildly attracted to him. She didn’t understand why he was such a nice guy and why he allowed the twitter obsessed town to make fun of him. Needless to say that neither of these couples has a smooth courtship and both relationships implode pretty spectacularly! But is it all over or can they find their way back to each other. This book is marvelous! Simply marvelous! 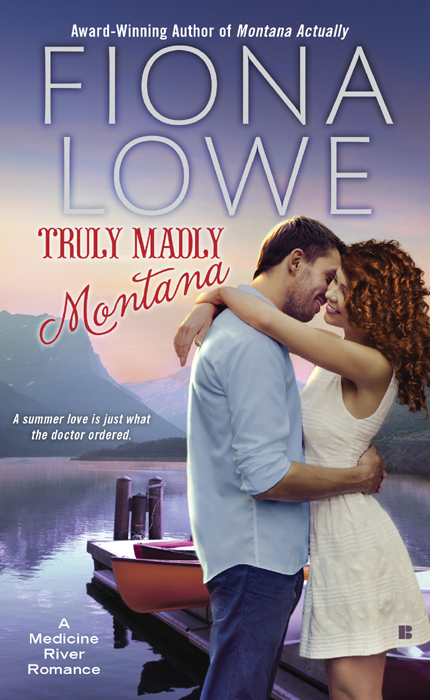 Truly Madly Montana is a book that I became so engrossed in; that life escaped. I found the writing enchanting and smooth. I found the characters well developed and when it comes to the situation of diabetes (one of our characters has it), I found it to be very accurate (my husband suffers from it) from emotions of the person with diabetes; as well as the family members who also live with the restrictions. 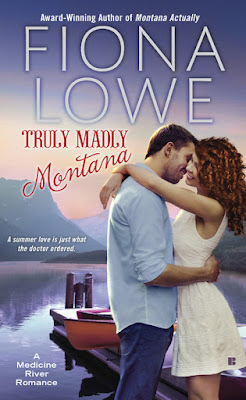 Overall Truly Madly Montana is a divine book, which I couldn’t put down! It receives a well-deserved 10 out of 10! And you’re home. Her gut tightened. Half of her was grateful Shane didn’t know about her diabetes, while the other half of her hated that she’d just taken a hit about her weight. She wasn’t obese, but then again, she was hardly willow thin, either. She knew this sort of banter was how guys talked to one another, and she’d never expected them to treat her any differently before. Tonight wasn’t the night to go all girlie on them. And you won’t. She’d been there, done that, years before he’d come to town, and it just wasn’t worth the health risk. She still carried the guilt, and that weighed her down enough. “That and the fact you couldn’t ask Ty Garver no matter how much you want him standing next to you,” she said sadly, thinking about the cowboy who’d fallen in love with Katrina years ago. And there is a God. Not that she didn’t like Will; she did. In fact, last year, she’d liked the Aussie MontMedAir doctor just a little too much. Heat burned her cheeks at the embarrassing recollections. Having a crush at sixteen was normal; crushing on a work colleague at twenty-five probably got a listing in the DSM-5. The memory of last spring and summer was still excruciatingly embarrassing, given he’d barely noticed her other than as one of many people he came into contact with through work. Will was laid-back, easygoing and charming, and he had a way of making people feel appreciated and part of a team. 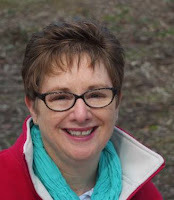 That had been her undoing—being appreciated was powerful stuff, and Floyd Coulson, Bear Paw’s hospital administrator, could learn a thing or two from him. Given all that, she’d read way too much into Will’s generous praise, especially as he often said, “You’re the best, Millie,” when she’d accompanied him on MontMedAir retrievals. Following him on Twitter and pretending it was because of his #FOAMed tweets—free open access medication—was borderline stalker behavior, although totally educational. What the guy didn’t know about emergency airway management wasn’t worth knowing. At least she’d come to her senses before clicking on Add Friend on his Facebook account, and for that, she was both proud and grateful. Sadly, she’d undone that bit of clear thinking after a traumatic medical evacuation last August. It was the fifth time she’d been the accompanying nurse out of Bear Paw, and they were airlifting two badly injured tourists who’d been involved in motor vehicle accident. They’d flown out between two storm fronts, and the pilot had given her the all clear to check the patients’ vitals. She was out of her seat when the plane hit an air pocket, and she’d been thrown sideways, landing face-first in Will’s lap. She still got a hot and cold flash whenever she thought about it. He’d gripped her arms, lifted her up and checked she was okay before hitting her with his devastatingly gorgeous smile—the one that radiated from his full lips, creased his tan cheeks and crinkled the edges of his unusual dark blue eyes. He’d quipped something about things moving fast for a first date, which had disarmed her all-consuming embarrassment and made her crush-filled brain totally misunderstand what he meant. When they landed and had handed over their patients to the Seattle hospital staff, she’d suggested they have a drink.